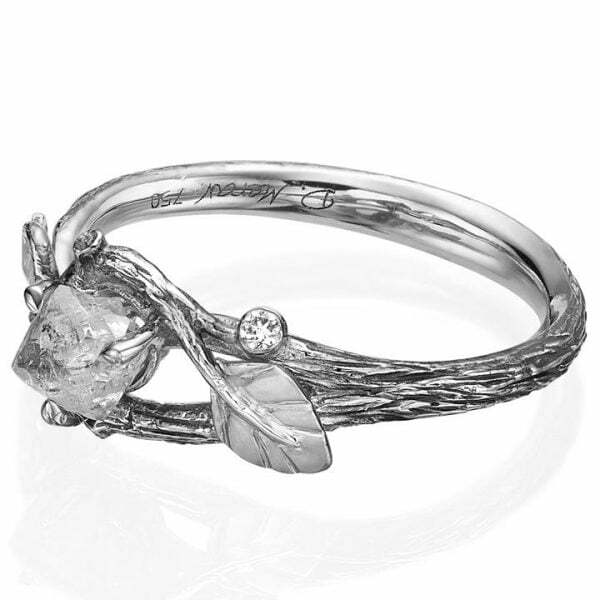 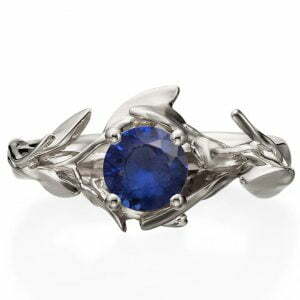 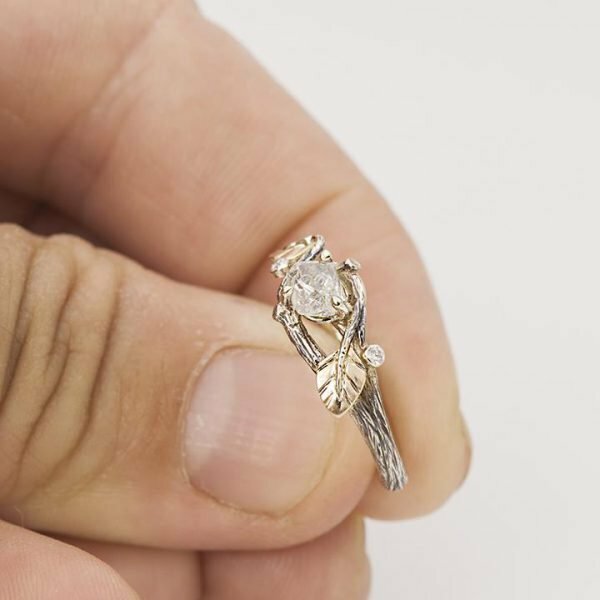 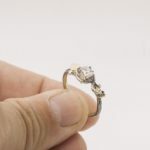 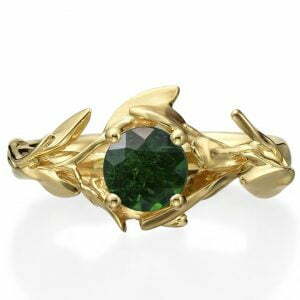 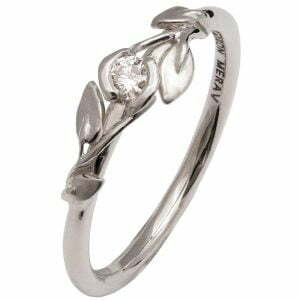 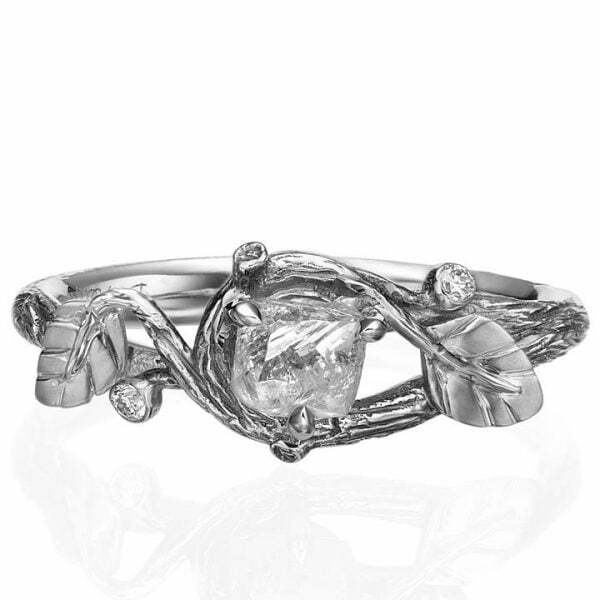 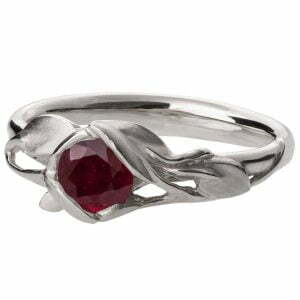 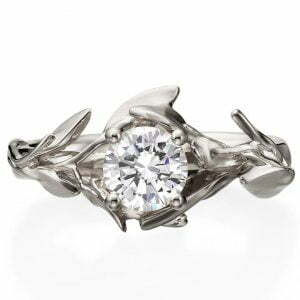 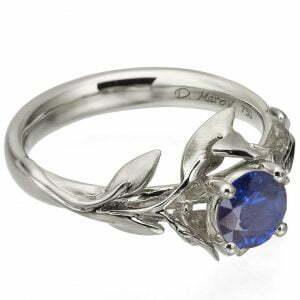 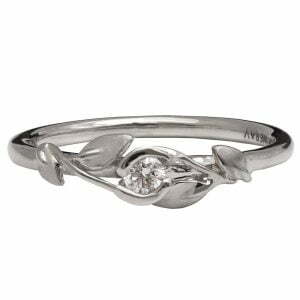 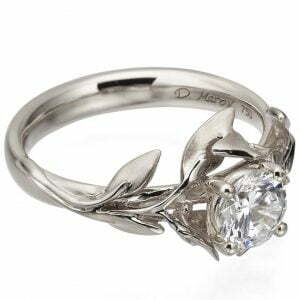 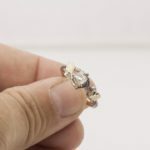 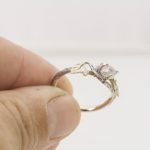 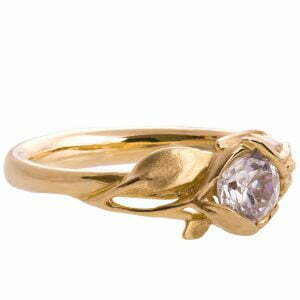 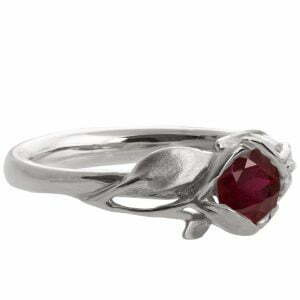 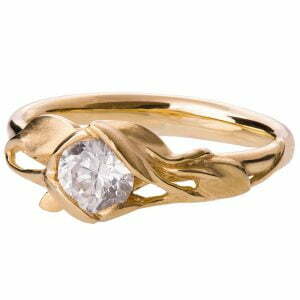 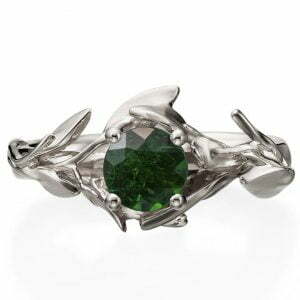 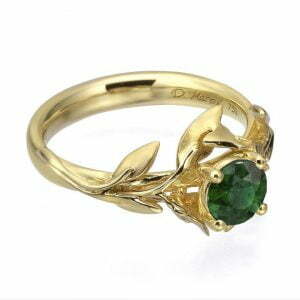 A handmade Twig and leaves ring set with a beautiful raw diamond and two little cut diamond accents. 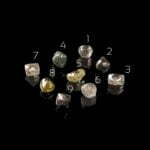 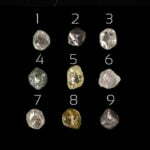 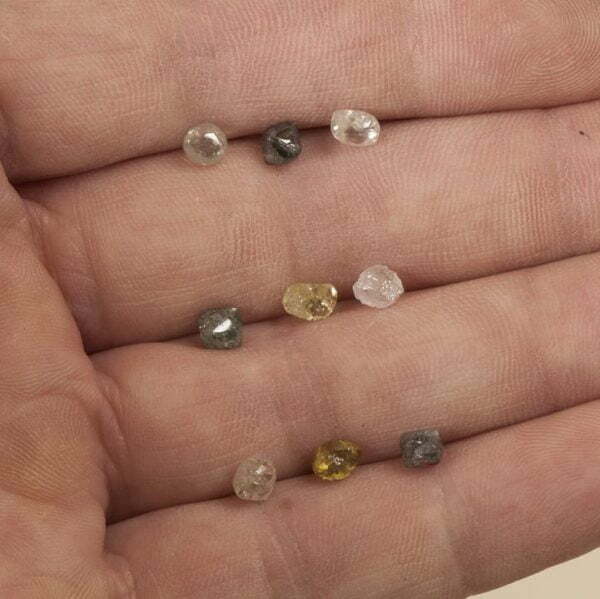 Unlike most raw diamonds that are used in jewelry the diamonds I offer are high quality raw diamond that could have been polished into fair quality polished diamonds, they are beautiful! 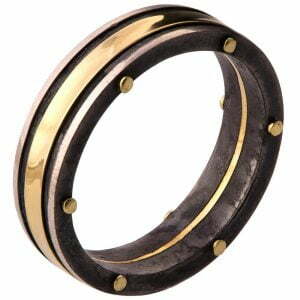 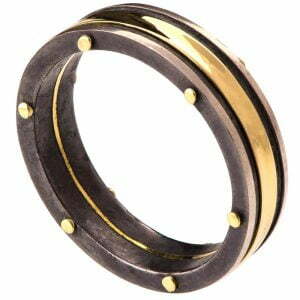 The band is made with black rhodium in the grooves to emphasize the texture.